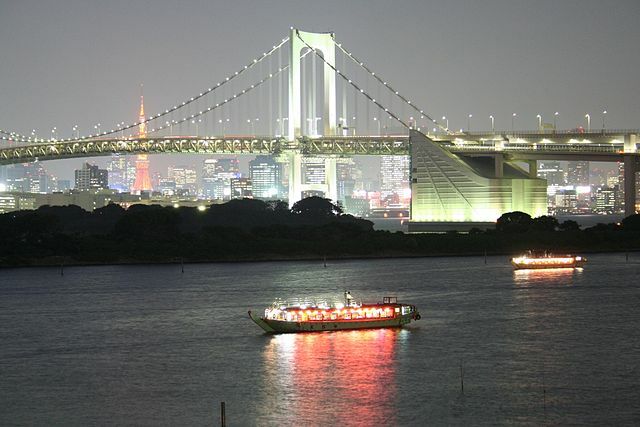 Being located on a bay and having rivers as convenient transportation routes, Tokyo has a few ferry companies which services are an enjoyable alternative to trains or subways when traveling between destinations that are near the water. 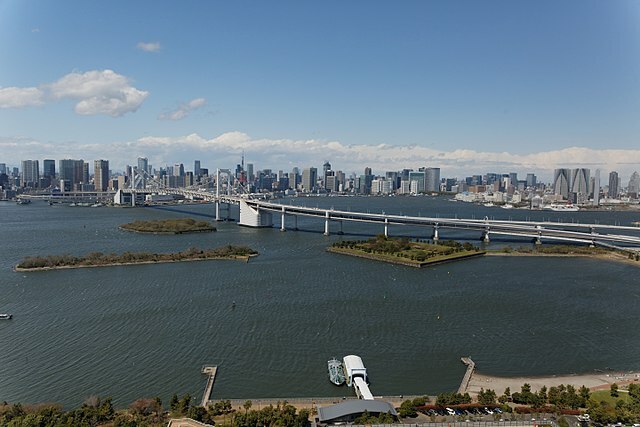 There are places of scenic and historical interest as well as amusement spots along the Arakawa and Sumida River and the Bay Area. The Tokyo Cruise Ship is a private water bus operator and their services include public lines, as well as event cruises and chartered ships. 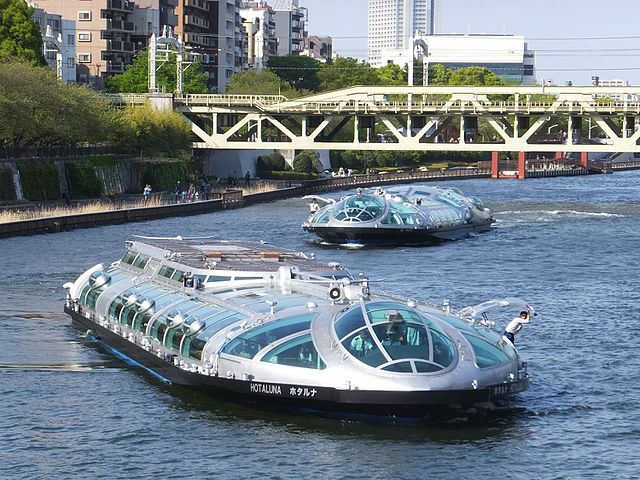 The Asakusa-Odaiba Direct Line is one of the most popular routes because of its futuristically designed boat "Himiko" with panoramic windows. 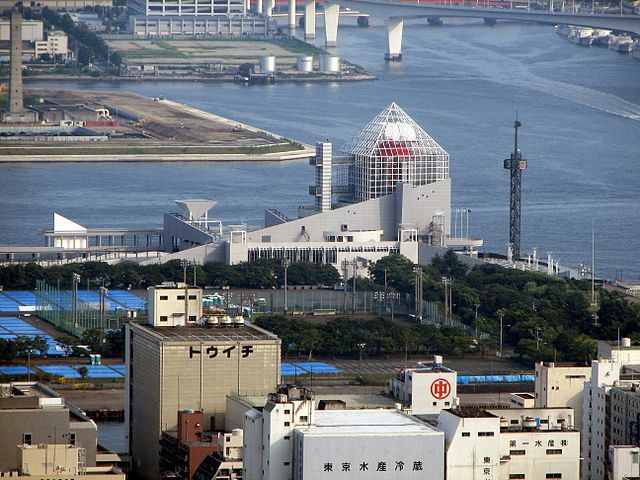 Odaiba a shopping and entertainment district, along with Minato Mirai 21 in Yokohama, are two of the only places in the Greater Tokyo Metropolitan area where the seashore is accessible and not blocked by industry and harbor areas. Suijobus Ferries operate between Hinode Pier on the Yurikamome line and several stops in Odaiba. For details about how to access the Pier Locations, reservation and everyday operating status visit Tokyo Cruise website. 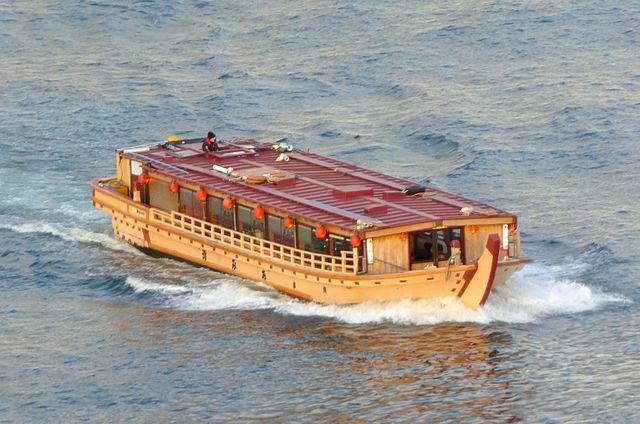 Yakatabune "Home-style Boat" is a kind of privately owned Japanese boat that have tatami mats inside and Japanese low tables that resemble an upper class Japanese home. They sail on the waterways of the rivers and bay of Tokyo among the skyscrapers and temples for sightseeing and retain a traditional feel. The food and the way in which it is served, at low tables with guests sitting cross-legged has not changed in the last hundred years. After the meal has been cleared away, some boats employ musicians and singers of traditional Japanese music, often in kimono, while others bring out the modern DIY form of entertainment, the Karaoke Machine. Understand in advance that you are pretty much trapped. The only means of escaping a tone-deaf "My Way" is a wet exit. On Tokyo Yakatabune Association website you’ll find information about the plans they offer, list of boarding areas, as well as how to make reservation. 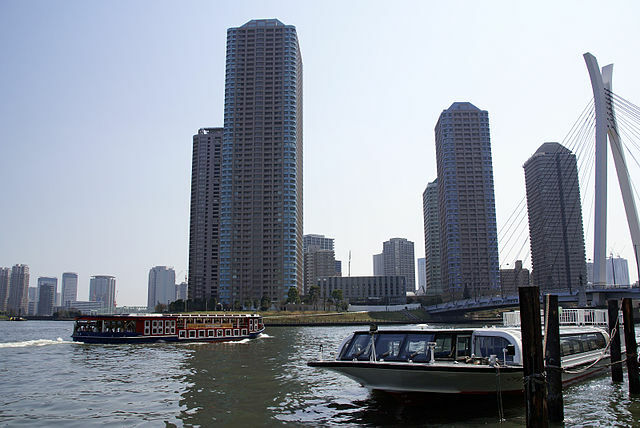 Tokyo Mizube Cruising Line is a water-bus transportation service, which is operated by a public company called Tokyo Metropolitan Park Association and navigates around the Arakawa, the Sumida River, Odaiba area and the Kasai Rinkai Park. ​Other than general transportation service, they offer many kinds of special cruising to enjoy Japanese events such as cherry blossoms in Spring and fireworks in Summer, as well as chartering of water-buses. Takeshiba Ferry Terminal, the Tokyo's main ferry terminal is located adjacent to Takeshiba Station. This ferry terminal is the point of departure for boats travelling to the Izu Islands, Ogasawara Islands as well as cruises around Tokyo Bay. ​It is one of the largest international trade ports of Japan equipped with large container terminals, which plays a key role as a distribution base serving not only the metropolitan Tokyo, but throughout the Greater Tokyo Area. Takeshiba Station is on the Yurikamome Line.